Like any regular school uniform, a smart one equates all children no matter their social standing. This makes them focus more on the things that are crucial for their academic success rather than their status in society. The introduction of school clothing is also an inherent part of teaching kids self-discipline from an early age. The requirement to wear a specific apparel obliges schoolchildren to look after themselves and keep their clothes neat and tidy. Even though a regular school uniform and a smart one share the same purposes, they also have essential differences. Here we take a closer look at the peculiar features of all smart school clothes. It’s no secret that new techs have already entered the education sphere and shaped it in numerous ways. All schoolers have mobile devices and use them fully: while some utilize them for more learning opportunities, others use them for obtaining professional writing services, for example, from Pro-Papers. However, along with the methods of teaching and learning, a school uniform has undergone many changes as well. In 2005, a clothing maker Ogo-Sangyo has manufactured school uniforms for primary school kids and equipped them with GPS navigators. The latter ones allow parents to track their kids’ location via their smartphones and tablets. If children run into danger, they can press an emergency button on their clothes to send a notification to a security service. In Brazil, they inserted computer chips into school apparel so that school administrations as well as pupils’ parents can monitor the kids’ movement and thus increase their attendance. The chips were sewn under the school symbols placed on T-shirts, and every time a schooler passes the sensors located at the entrance to the school building, the chip sends a notification to his or her parents. If the schooler is late for school by twenty minutes, the parents receive an SMS informing them that their child has not arrived for classes yet. While smart techs used in school uniforms enhance schoolchildrens’ safety and academic performance, unfortunately, they may dampen schoolers’ mood and upset relations between the latter and their parents as a result of the absence of trust. But nothing is perfect though. Leaving aside GPS navigators, smart clothing is a perfect choice for both adults and their kids. 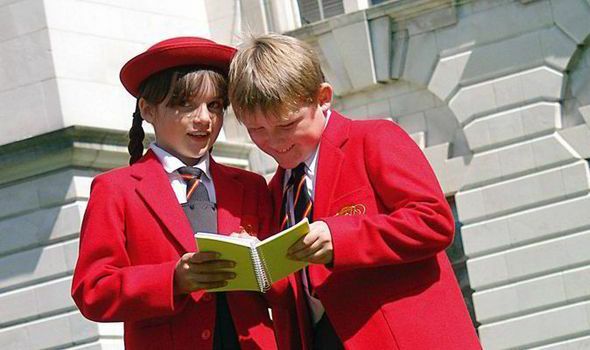 In comparison with a regular uniform, a smart one is more practical and comfortable clothing to wear to school. No matter whether it is light or heavy rain, the stain- and weatherproof materials used for producing smart school uniforms protect students from moisture and stains. This apparel greatly reduces the risk of colds in children and serves them for a long time. Most smart school clothes are made of crush resistant materials eliminating the need for ironing. Therefore, adults and kids don’t have to waste their precious time performing such a boring task. No matter how schoolers crush their clothes, they will always look neat and tidy. Some apparel pieces are made of heat-activated fabrics. To look neatly ironed, this apparel should be hung up for a while after washing. Once dry and cool, it is ready to be put on. These shoes are made of long-wearing materials that are resistant to scuffs and damage and thus are suggested to serve for a long time. A special technology used in these shoes helps to fight harmful bacteria inside them preventing the development of all possible fungous diseases in pupils. One more advantage of smart school clothes is their ability to hold the posture. Featuring a special elastic construction sewn inside between the main material and the lining, they help pupils to maintain proper posture. When kids sit with their backs straight, they don’t feel any discomfort; however, if they start stooping their shoulders, they feel the tension of the elastic construction and thus feel uncomfortable. In a nutshell, a smart school uniform is a lifesaver for both modern students and their parents. Even though there is a great variety of options nowadays, all of them are meant to serve the same purposes. The use of smart clothing in everyday life helps to enhance kids’ safety, self-discipline, and academic progress. Moreover, this apparel protects them from bad weather, keeps their feet dry and healthy, helps them maintain a good posture, and much more. 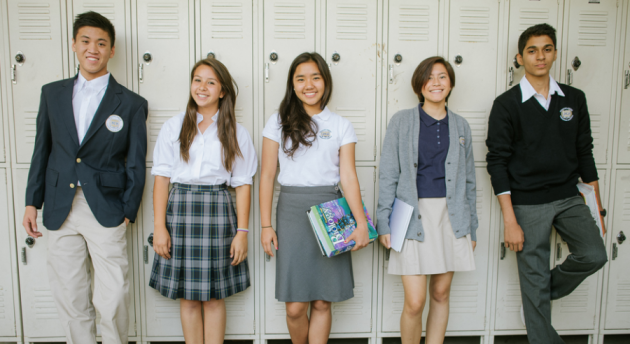 Without a doubt, smart clothing is a must-have for all modern students of any age.